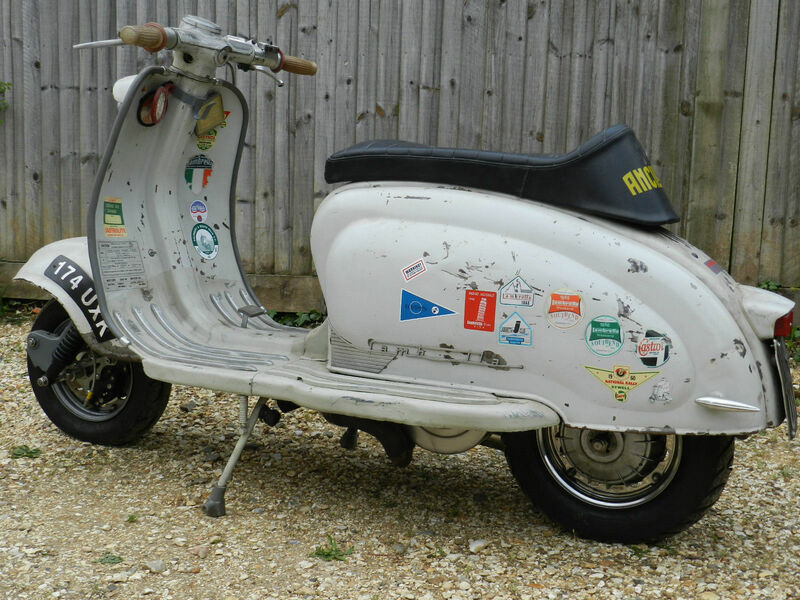 Love the original factory paint with period stickers on this ’59 Framebreather. 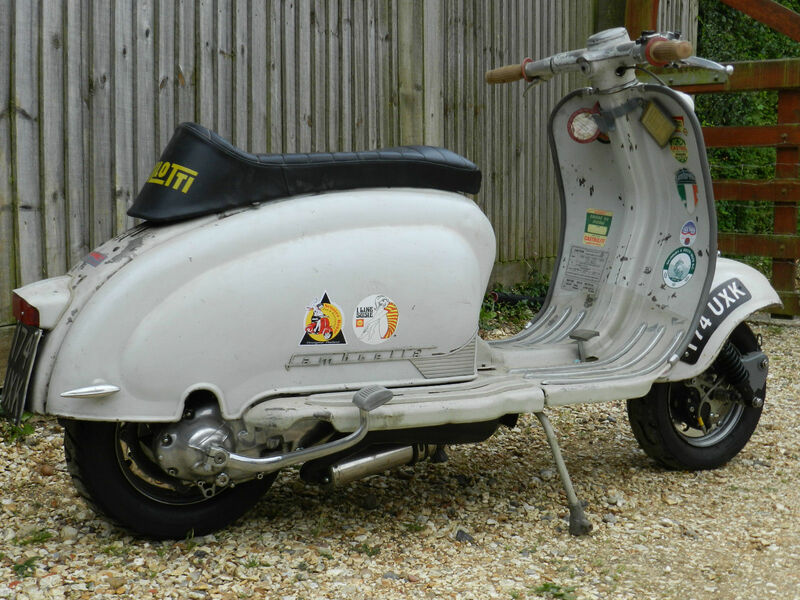 It comes with a TS1 225 engine, and some minor jobs to get it finished, but to my eye it’s a cracking looking scoot. 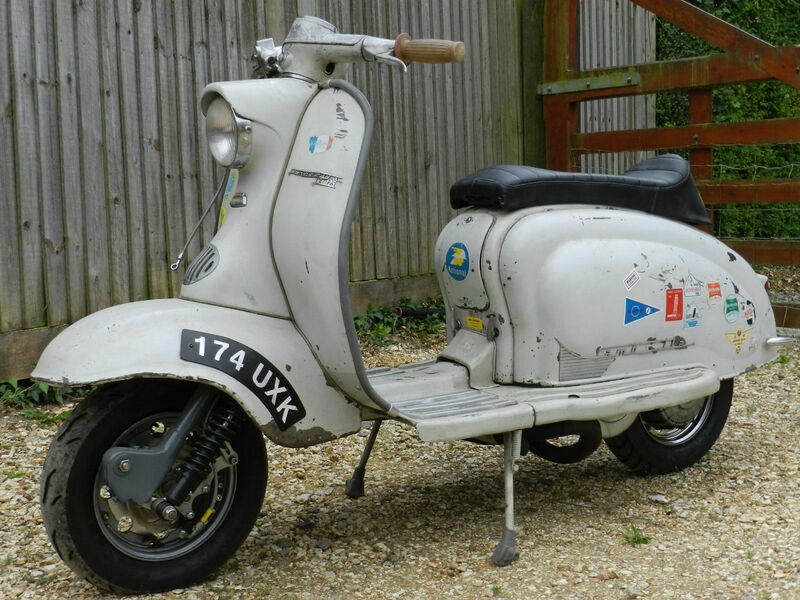 The original engine comes as part of the deal, so if you want to take it back to standard, you can. 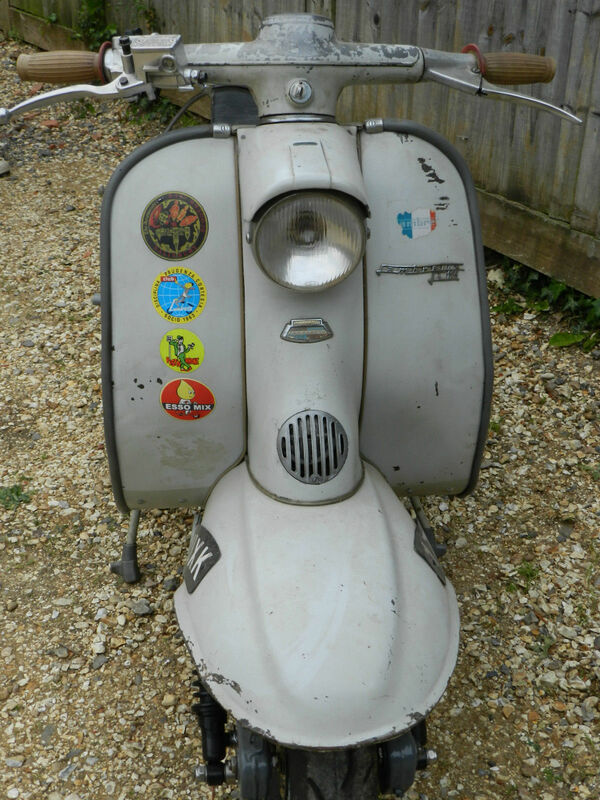 This entry was posted in For Sale, Lambretta Life, Series 1 and tagged eBay, For Sale, Framebreather, Lambretta, original, patina, Sereis 1 by crocodilejock. Bookmark the permalink.